Subspecies, belonging to the species Asian elephant, a species belonging to the family of elephants (Elephantidae), which is included in the mammal order Proboscidea. 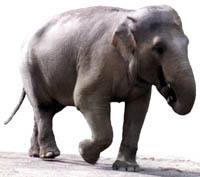 The species Asian elephant was named Indian elephant by Carolus Linneaus before he knew that they occur throughout asia, so the name "Indian elephant" should be used only for the Indian subspecies. Scientist identify four populations and ten sub populations of the indian elephant, distributed in the South, Central, Northwest and Northeast regions in India. Distribution: forests of Western and Eastern Ghats in the states of Kerala, Karnataka and Tamil Nadu. Distribution: Terai forest regions of Uttar Pradesh along the foothills of Himalayas. Distribution: Himalayan foothills of Bhutan and North West Bengal eastwards into the states of Assam, Arunachal Pradesh, Nagaland, Manipur, Mizoram, Tripura and Meghalaya. Indian elephant Nika in Skansen Zoo, Stockholm, Sweden, 1958 born in Assam, India. 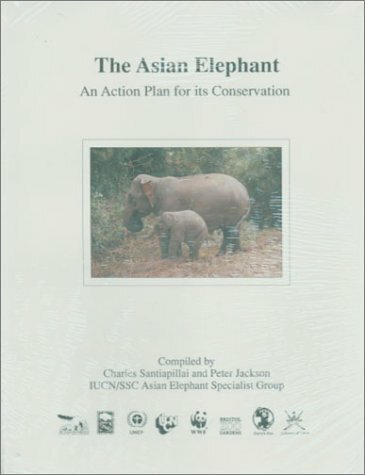 The Asian Elephant: An Action Plan for Its Conservation by Charles Santiapillai, Peter Jackson, Iucn, Ssc Asian Elephant Specialist Group.